The Radiant Plus Small is Avalon’s small sized gas insert. With a 25,000 BTU input and heating capabilities up to 1,250 square feet, this stove is ideal for zonal heating in large areas of your home. 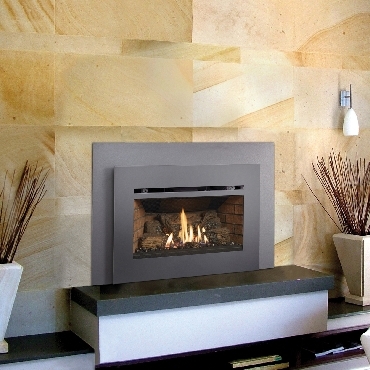 A beautiful open fire view showcases the fire and includes high quality, high clarity tempered glass that comes standard with the 2015 ANSI-compliant invisible safety screen for added safety from accidental contact with hot glass surfaces. The Radiant Plus Small includes the Dancing-Fyre burner with a 6-piece logset and an optional blower kit. It features a remote that allows you to control every function of this stove from the comfort of your favorite chair. Burn Rate Range: Up to 25,000 BTUs/hr.